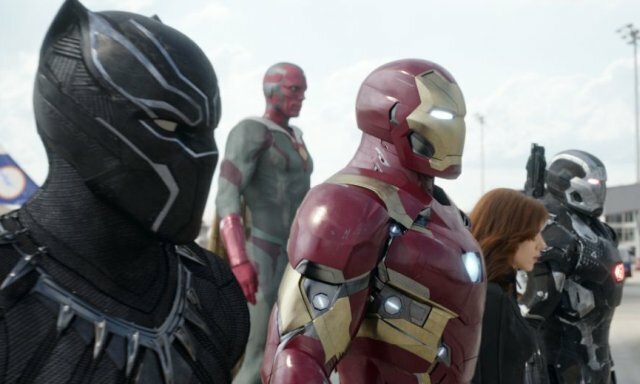 Home » Captain America: Civil War, Team Iron Man, Review! 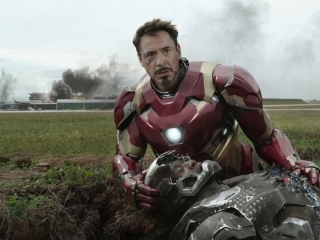 Captain America: Civil War, Team Iron Man, Review! Lil’ Yoda reporting in with the UN sanctioned Avengers! After many incidents involving the Avengers that resulted in catastrophic collateral damage, specifically the incident in Sokovia, it was only a matter of time before the world demanded oversight and regulation of the Avengers. Lagos, Nigeria was the breaking point. In an attempt to capture Brock Rumlow, aka Crossbones (Frank Grillo) the Avengers were led by Steve Rogers, aka Captain America (Chris Evans). Wanda Maximoff, aka Scarlet Witch (Elizabeth Olsen) caused an explosion. The explosion resulted in the death and injury of many Wakandan citizens. This was the final push needed for the United Nations to introduce the Sokovia Accords. The Avengers became split on the issue, only half choosing to sign. These members being Iron Man aka Tony Stark (Robert Downey Jr.), Black Widow aka Natasha Romanoff (Scarlett Johansson), War Machine aka Colonel James Rhodes (Don Cheadle), and one of the latest additions to the Avengers, Vision (Paul Bettany). Tensions only raised after the UN was bombed during the signing of the accords, most notably killing T’Chaka, King of Wakanda. This left the kingdom to his son, T’Challa aka Black Panther (Chadwick Boseman). T’Challa swore revenge on Bucky Barnes aka the Winter Soldier (Sebastian Stan) after Barnes was implicated in the bombing. After Captain America finds Barnes, with the help of Sam Wilson aka Falcon, Black Panther found him shortly after. The end result was Barnes being taken into custody, but eventually breaking out after his Winter Soldier programming was put back online. 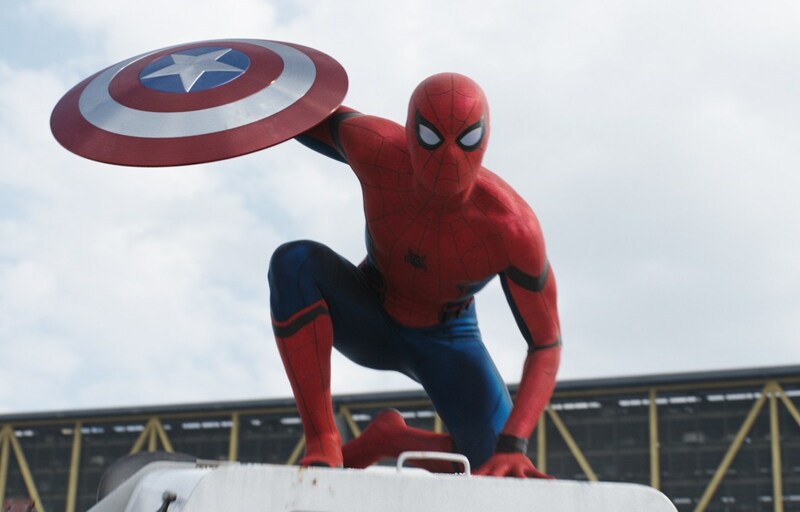 Seeing that is was going to take more manpower to take the Winter Soldier, Iron Man recruited the New York vigilante: Spider-Man (Tom Holland). Over with Captain America, he had recruited as well with Avengers members: Scarlet Witch and Clint Barton aka Hawkeye (Jeremy Renner). They also recruited a non-Avengers member Scott Lang aka Ant-Man (Paul Rudd). This all eclipsed in an airport in Germany as the two teams faced off. It was an emotional battle for all involved. This time they weren’t fighting a mad Norse god or an AI gone rouge, but their friends. The battle was even more unpredictable due to the presence of new recruits: Ant-Man and Spider-Man. There were several other small skirmishes between other Avenger members such as Black Widow and Hawkeye. Unfortunately, James Rhodes was severely injured after a beam from Vision missed Falcon and hit Rhodes instead. Scarlet Witch, Hawkeye, Ant-Man, and Falcon were all put in supermax lockup in prison known as the raft. There are reports of Iron Man facing off again against the Winter Soldier and Captain America at a separate location following up on rumors of more ‘Winter Soldiers’. The question is after all this, can the Avengers band back together to protect the world again if it needs it? It was a truly amazing event. It was only natural after all that has happened in the wake of the Avengers, that there would be consequences. It’s nice to see that addressed. I think everyone can identify with at least one member of each side, in motivations or concerns about how to handle power responsibly. It’s not difficult to identify everyone’s motivations, whether they be guilt, love, or simply a desire to do the right thing. Never have these heroes been shown with such raw emotions and it translates amazingly into a great story. I look forward to seeing the Avengers pick up the pieces.